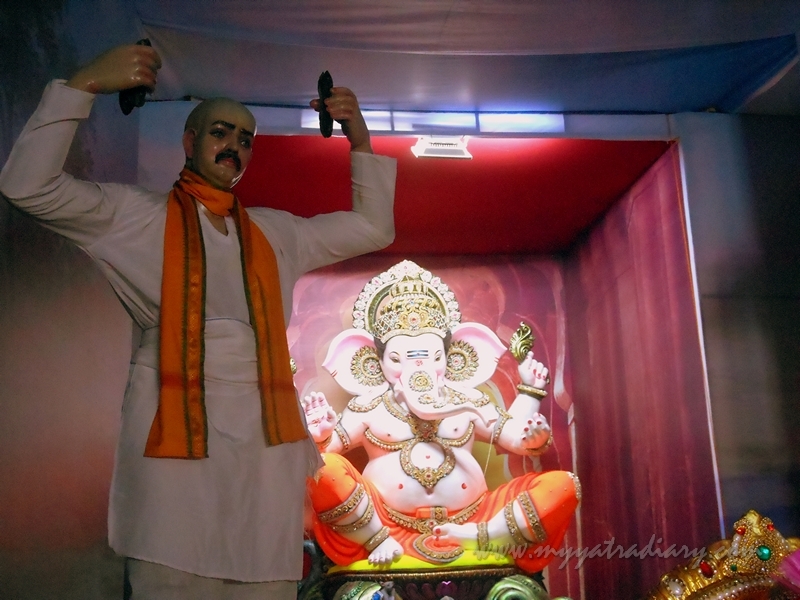 Ganesh Chaturthi Pandal Hopping: Day 11 || Ganesha in The City of Saints - Pandharpur! Built in the thirteenth century, the holy town of Pandharpur is settled in a semi circular cushion by the imposing banks of River Chandrabhaga which from a distance looks like a crescent of a moon. Revered as a major pilgrimage in the state of Maharashtra, the town attracts millions of pilgrims (particularly of the warkari sect) who perfom yatra (wari pilgrimage) to its highly revered temple of Pandurang Vithal Rukhmini (embodiments of Lord Vishnu or Krishna and His consort Rakhumai). One of the most striking aspects of a yatra to Pandharpur is the worshipping of poet-saints like Eknath, Namdeo and Tukaram – highly visionary people who became immortal through their devotion to God and society. All through the pilgrimage the followers and believers sing bhajans (hymns) and songs (Marathi abhanga poetry) thus bringing the essence and energy of devotion of these great saints along with them. I have never been to Pandharpur but I find this idea of singing and travelling with the saints extremely fascinating and exciting! What a joy it must be to travel with saints like Tukaram and Jyandeo who are immortal through their words - a treasure - which they left in the world for all of us to cherish for generations to come. 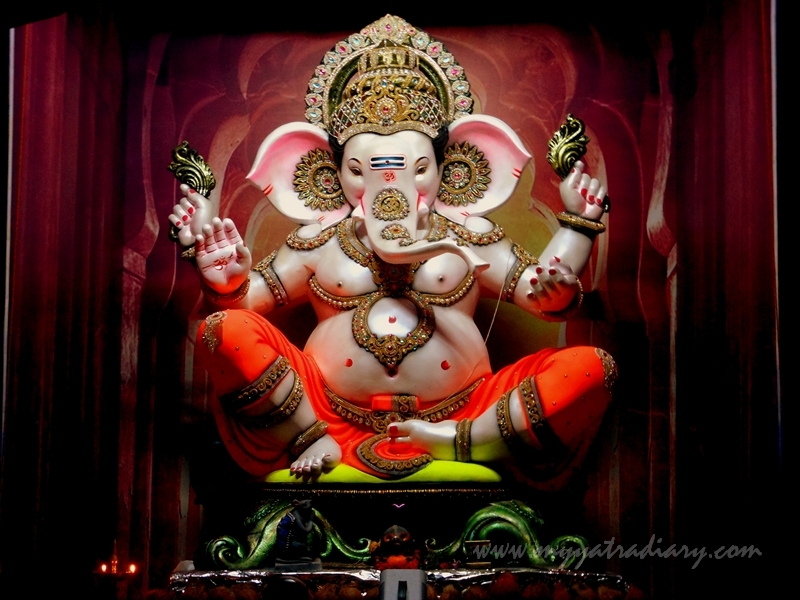 Today’s Ganesha of ours is shown to be seated in the Pandharpur Temple of Vithoba surrounded by the love, bhakti and devotion of one such saint who worshipped Lord Vitthala Panduranga with His divine words. 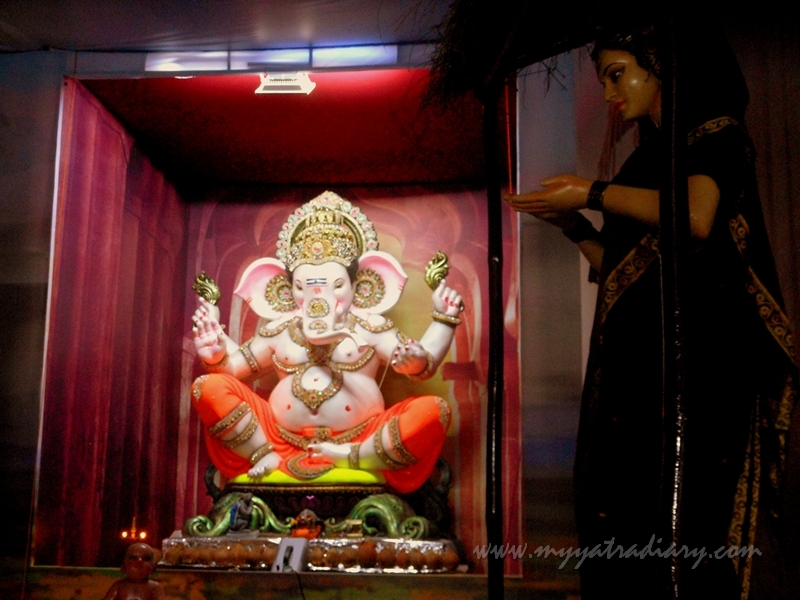 Presenting below the pictures of the Ganesha Pandal from Mumbai coupled with one such beautiful poem by saint Tukaram towards the end. 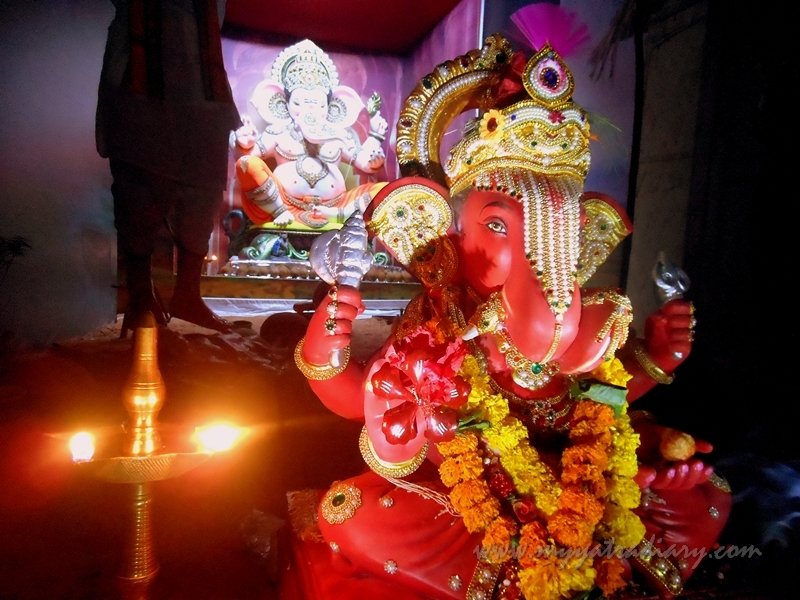 Ganpati Pandal Hopping: Day 11 || Ganesha in The City of Saints - Pandharpur! 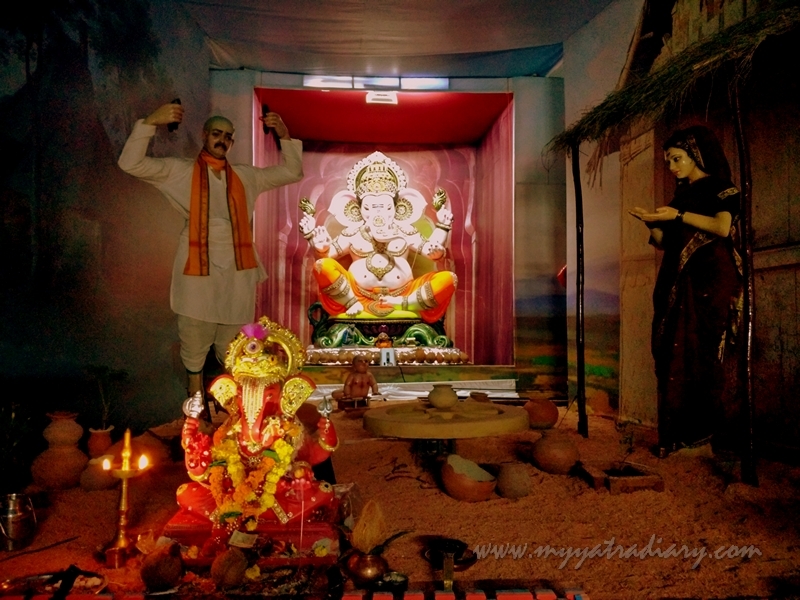 Ganesha in front of Vithoba such a devotional concept and Sant Tukaram words are timeless. Thanks for sharing them Arti. Some of the poems by sant Tukaram is really good. festival wishes.. Any photo op on the visarjan? 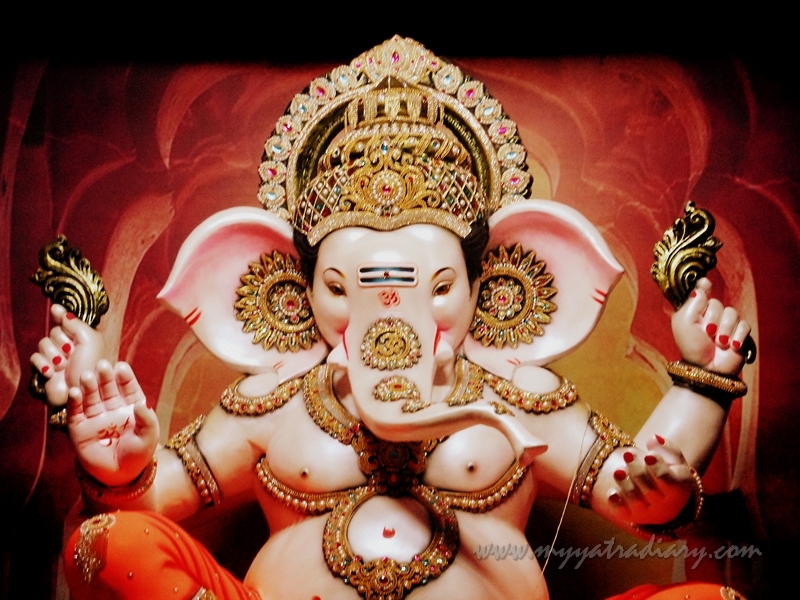 Thanks for the beautiful Ganesha Tour ending with the enlightening poem of Tukaram. Thanks for sharing the poem dear. It was so enlightening. And Beautiful captures. Loved the idol.